In the spirit of the 12th National Conference and 2nd Southeast Asian Conference on Autism held on 28-29 April 2012 at the Crowne Plaza Manila Galleria, Autism Society Philippines Cavite Chapters, in partnership with the Municipal Government of Carmona, Cavite, will be holding the 5th Regional Conference on Autism on 8-9 September 2012 at the San Lazaro Business and Leisure Park in Carmona, Cavite. With the theme “Living with Autism: HOPE@HOME,” the conference brings to South Luzon topics and discussions that shall aim to enrich parents, professionals, students, and government officials with knowledge and skills in helping people with autism become fully functional members of our community. Experts have been invited to share their knowledge and exemplary achievements on the field of rehabilitation, particularly in the local community setting. By: Mr. Abelardo Apollo I. David Jr.
Jumpstart your first day on the conference with a keynote speech delivered by one of the leading occupational therapists in the country today. Mr. Abelardo Apollo I. David, or Sir Archie as he is usually referred to, is the Head Occupational Therapist and Executive Director of Quality Life Discoveries; and the Independent Living and Learning Center. 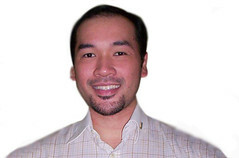 He graduated with a bachelor’s degree in Occupational Therapy at the College of Allied Medical Professions at the University of the Philippines, and obtained his master’s degree in Occupational Therapy at the University of Queensland, Australia. He has become a resource speaker in multiple seminars and events aimed at families, professionals, students, and people with special needs. HOPE@LAST! Government on the Move and Community-Based Rehabilitation (CBR): How Do You Do It? These topics are the most popular topics discussed in the 12th National Conference. The first topic will discuss on what the government is doing to help Persons with Disability (PWD) become functional members of our society, using the series of programs of the Municipality of Carmona as an example. It will also showcase the numerous achievements that the local government units have made for the welfare of PWDs, including people with autism (PWA). The second topic will discuss basics on Community-Based Rehabilitation (CBR) and how it is practiced and applied in the local setting. During the conference, guests will also have the opportunity to visit the Persons with Disability Affairs Office (PDAO) and witness firsthand what the local government has accomplished in the field of PWD support. 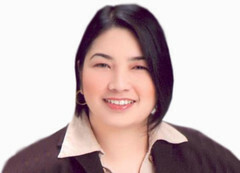 Dr. Dahlia A. Loyola is the mayor of Carmona, Cavite since 2004. 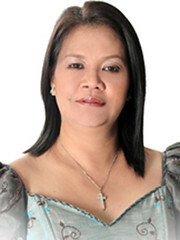 Under her administration, the town has received multiple awards recognizing excellence in public service, namely: 2011 Most Business-Friendly LGU Municipal Category, the “Gawad Pamana ng Lahi” (Regional Award given by DILG), the Hall of Fame Award for Excellence in External Quality (Department of Health), 4th Place for the Performance and Delivery of Civil Registration Services, and the Liberal Project Award for programs and services to empower PWDs of Carmona, Cavite. It was also under her administration that the PWD sector has been recognized and has set an example on how Community-Based Rehabilitation can help PWDs be functioning members of society. This topic will focus on dealing with autism in the setting of the local community, specifically the family and the local government. Being the basic unit of society that PWAs are first oriented to, families can benefit from this topic by knowing more on how to manage the condition through proper intervention. It serves as additional reference to practitioners of CBR, focusing on PWAs and the ways on how to help them. Dr. Ma. Cecilia R. Licuan, a Registered Physical Therapist, is the Dean of the College of Rehabilitation Sciences at De La Salle Health Sciences Institute (DLSHSI). She is also an accreditor for the Physical Therapy Program at the Philippine Association for Accreditation of Schools, Colleges and Universities (PAASCU), as well as a resource person for the National Council for Disability Affairs. She graduated with a bachelor’s degree in Physical Therapy at DLSHSI in 1997; earned her master’s degree in Education, majoring in Education Management, at DLSU-Dasmariñas in 2001; and earned her PhD in Special Education at UP Diliman in 2007. For more information and inquiries on the 5th Regional Conference, please contact Ms. Chie Marquez of ASP Bacoor at 09175406727. For LGUs, please contact Ms. Jan Peña at 09208247636.